Home › What's New? 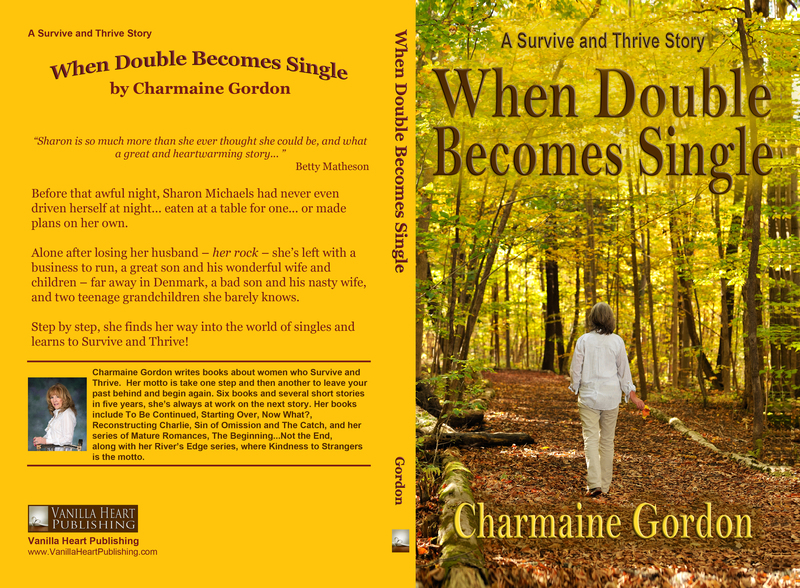 › When Double Becomes Single by Charmaine Gordon Now Available in Print and All Ebook Editions! 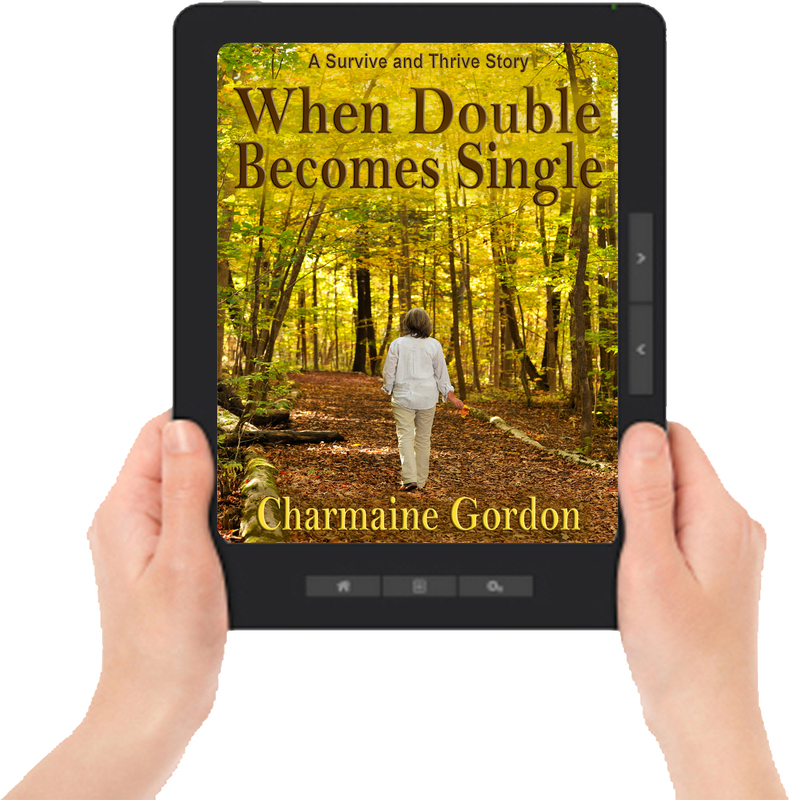 Before that awful night, Sharon Michaels had never even driven herself at night… eaten at a table for one… or made plans on her own. Alone after losing her husband – her rock– she’s left with a business to run, a great son and his wonderful wife and children – far away in Denmark, a bad son and his nasty wife, and two teenage grandchildren she barely knows. 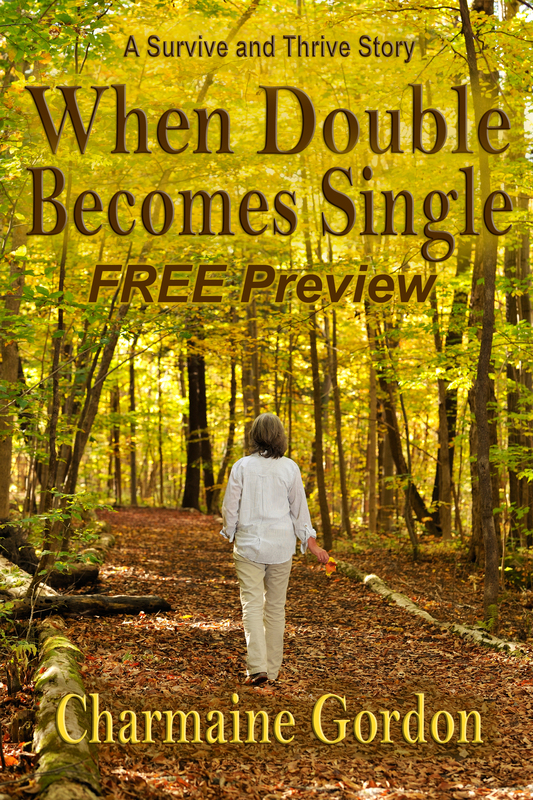 Step by step, she finds her way into the world of singles and learns to Survive and Thrive! 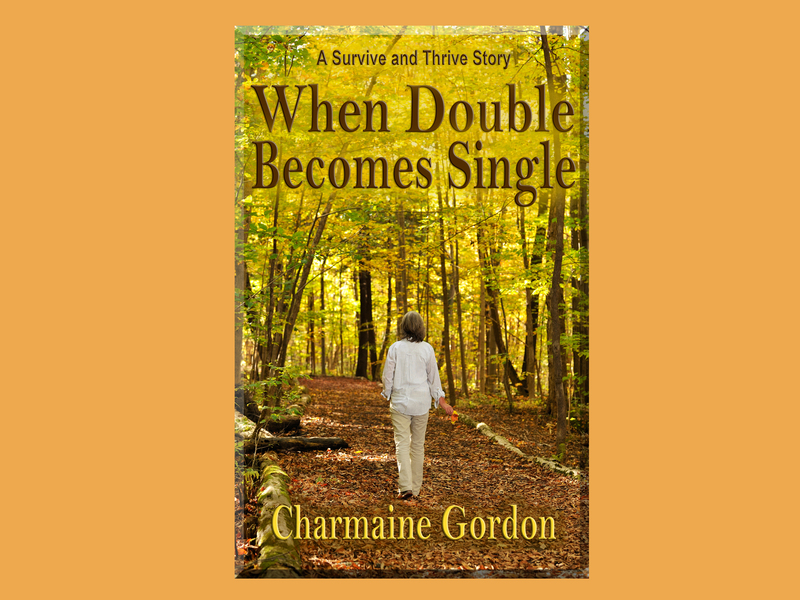 Charmaine Gordon writes books about women who Survive and Thrive. Her motto is take one step and then another to leave your past behind and begin again. 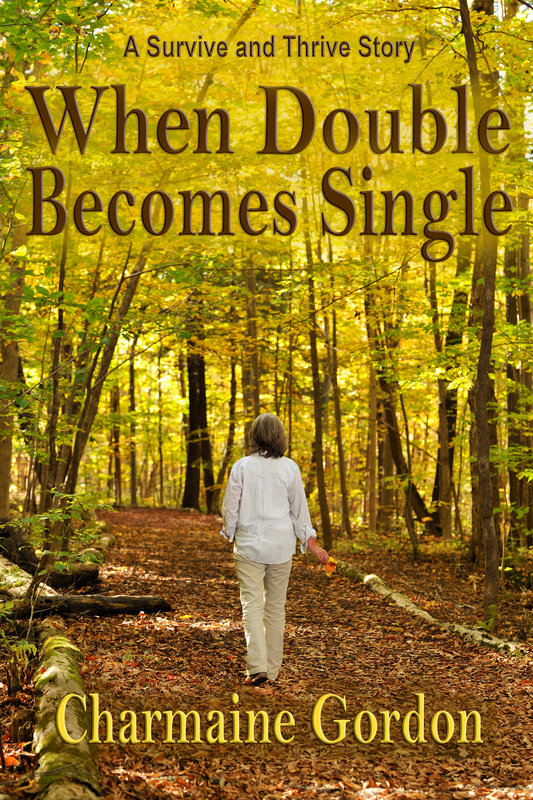 Six books and several short stories in three years, she’s always at work on the next story. The books include To Be Continued, Starting Over, Now What?, Reconstructing Charlie, Sin of Omission and The Catch, and her series of Mature Romances, The Beginning…Not the End, including the stand alone novellas, She Didn’t Say No and Farewell, Hello and her most recent series, River’s Edge Stories where the town motto is Kindness to Strangers. ‹ Blood Spoor in the Dark by Paul Zunckel Now Available in All Ebook Editions! 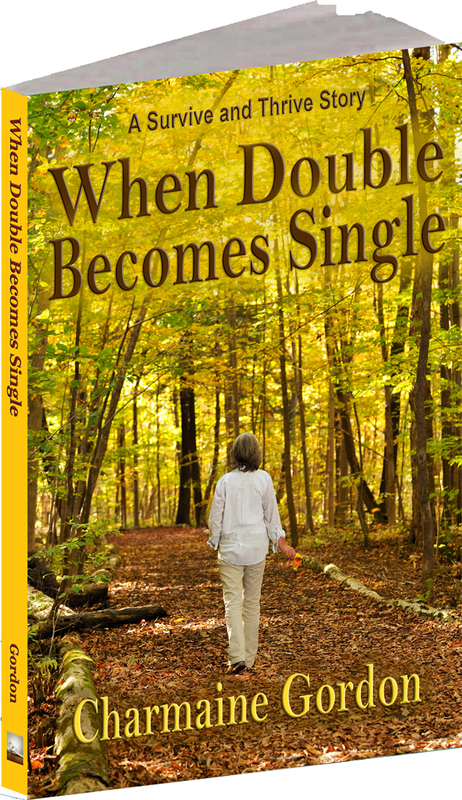 I’m thrilled to see When Double Becomes Single come to fruition.Thanks to the best publisher ever, Vanilla Heart Publishing. You’ve made my dreams come true.